STROMBERG LAW FIRM, Attorneys/Mediators is a full-service law firm providing quality civil litigation, transactional, and mediation/ADR services for legal matters and disputes in the areas of real estate, business and corporate, construction, contracts and employment law. 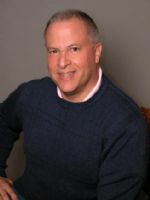 David B. Stromberg received his A.B. from Cornell University in 1976 and his J.D. from Boston College Law School in 1979. Mr. Stromberg is admitted to practice law in California as well as before the U.S. District Court, Northern and Eastern Districts of California, the U.S. Court of Appeals for the Ninth Circuit and the U.S. Supreme Court. Mr. Stromberg is a formally trained commercial mediator and provides mediation and other ADR services (arbitration, neutral evaluations, and special mastering). See our interview on BayAreaForSale.com, a top site for California homes for sale, Florida real estate & S. California real estate: Handling Nondisclosure Disputes. Mediation is a private, informal, confidential process whereby two parties meet with a neutral mediator to reach a resolution specifically tailored to their individual circumstances and needs.. Arbitration, a form of alternative dispute resolution (ADR), is a legal technique for the resolution of disputes outside the courts, wherein the parties to a dispute refer it to one or more persons (the "arbitrators", "arbiters" or "arbitral tribunal"), by whose decision (the "award") they agree will be binding.